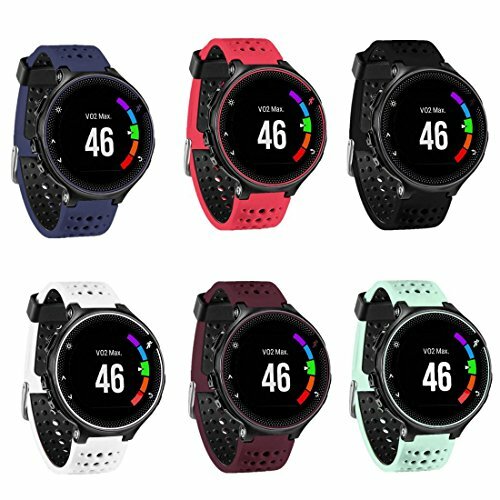 Fit for Garmin Forerunner 235/220/230/620/630/735,Made from high quality soft silicone material. SIZE Chart:ONE Size:5.11-8.46 inches(130mm-215mm).Air Permeable design can keep your wrist feel more breathable and cooler. Easy to assemble and take off with Pin Removal Tools.